After years of planning and training, months walking and climbing, and a week of waiting for a good forecast, we leave for our summit bid tomorrow. It is time. We have some congruence in the forecasts, with the conditions continuing to improve to May 18th. By leaving tomorrow, we could attempt the summit as early as the 16th. Due to many variables, we might choose a day or two later, but all these dates look plausible. It will be a 3am start tomorrow, so this will be my last chance to post a blog until after we return. 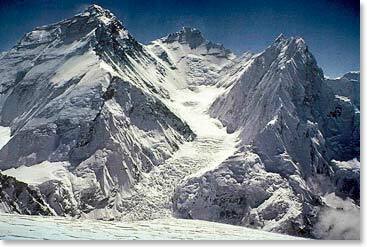 Our itinerary will be to climb to camp 2 tomorrow. Take a rest day. 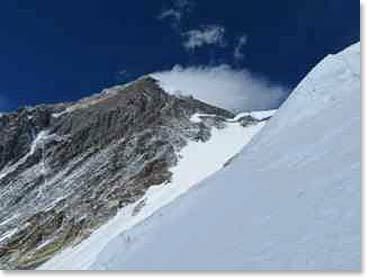 Climb to Camp 3 on the 14, climb to camp 4 on the 15th, and climb through the night of the 15th to reach the summit on the morning of the 16th. Again, we may take an extra rest day or wait on weather which could delay us , but the 16th-18th is our window. That means today is our last day in base camp, which seems strange. We have lived here since April 5th, and somehow temporary conditions can take on a feeling of permanence. We have been comfortable here, but your body is not made to live at this altitude, and we all have lives that we miss very much. Returning home is a tantalizing prospect, but we still have the hardest climbing left to go, so that isn’t a place where you can let your thoughts dwell for long. 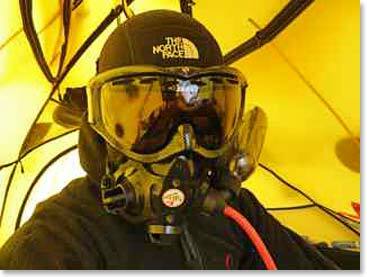 At Camp 3 we will sleep on low flow oxygen and continue to use it until we return to a lesser altitude. 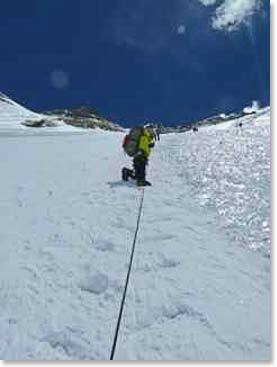 The oxygen does not do the climbing for you (unfortunately), but it keeps you warmer, sharper, and less apt to have medical problems. 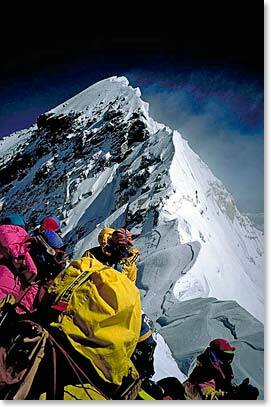 We will be climbing from Camp 4 to the summit with our Sherpas, comprising a team of six. 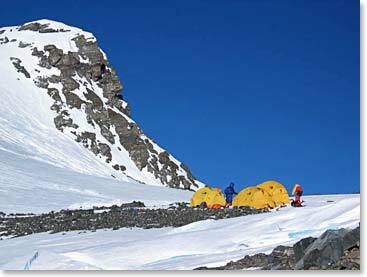 We have radio and sat phone communication with base camp/ camp 2, so our progress will be followed closely. We appreciate all the thoughts and prayers that go with our team from around the globe. To paraphrase Todd, we are three regular guys working hard to do something quit extraordinary. I wanted to write a great dispatch today on the "why's". Why do this? 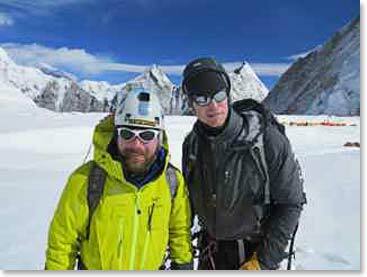 Why risk life and climb? Why sacrifice time and treasure? Honestly, this is the subject of a book, not a blog. 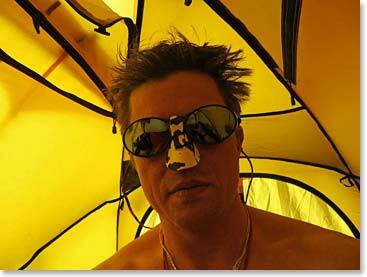 I know that there are as many answers as there are climbers, and most climbers probably have a multitude of reasons. I could tell you my reasons and maybe one day I will. They have changed over time, but I am at peace with them. 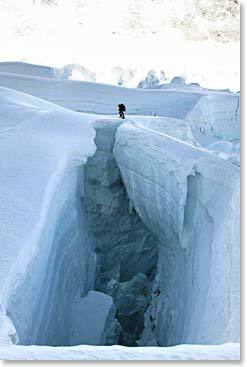 I would invite you all to start climbing the mountains in your lives that are as real as the one we are on now. And if somebody asks you why are you striving and struggling against the norm, you will know the difficulty in answering this question. 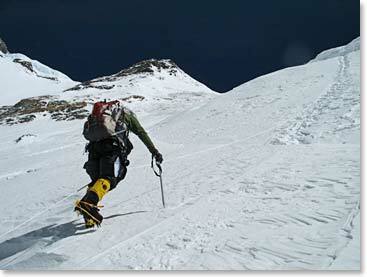 When asked the question, why climb Everest, George Mallory famously said "because it is there". I think we climb because, WE ARE HERE, and it is just what we do. It is how we find our best. 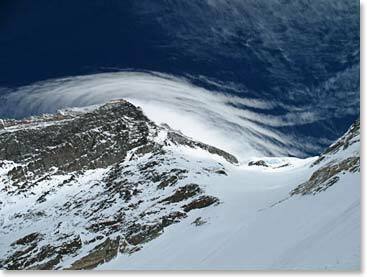 We will keep our eyes on the weather forecasts and on the summit. Hopefully we won't see any of these lenticular clouds which indicate high winds! We've checked all of our gear and we are ready to go! The entire mountain lies ahead of us.